This guide is designed to assist students enrolled in Children's Literature and YA Literature courses with locating Library resources for their research assignments. The guide is organized into steps that cover the basic research process for locating and citing relevant sources used in writing a paper or other projects. For general research assistance other than Children's Literature and YA Literature, view the links listed under Research Tools. Books, eBooks, and other Library materials can be searched using the Online Catalog. You can search the catalog by Subject such as Children’s Literature. You can also search by American Library Association Award title such as Caldecott or Coretta Scott King under Subject in the catalog. There are two main categories of books: general and reference. General books (located in the "Stacks" on the lower floor) can be checked out and are often used for more in-depth research. Reference books (located on the upper floor) do not circulate but can be useful for acquiring an overview on a topic. A few selected Library reference titles for Children's and YA Literature are listed below. Bloody Murder adds to the body of inquiry into America's ongoing fascination with violent crime. Abate argues that when narratives for children are considered along with other representations of homicide in the United States, they not only provide a more accurate portrait of the range, depth, and variety of crime literature, they also alter existing ideas about the meaning of violence, the emotional appeal of fear, and the cultural construction of death and dying. An essential source in getting your work published. Includes interviews and advice from established children's authors and illustrator's. This resource provides helpful articles and lists of book publishers arranged in subject and age-level indexes. This series offers readers the opportunity to become familiar with both famous and less well-known personalities from classic fiction. Articles are arranged alphabetically by book title and begin with ready-reference top matter information about the author and the book, including each book's title, foreign title if originally published in a language other than English, author's name with birth and death years, date of first publication, genre, locale, time of action, and plot type. Heavily cross-referenced indexes allow easy access to all title covered. Pronunciation guides are provided for character names that are most likely to be mispronounced. Three indexes are found at the back of volume 5, and are designed to help the user more readily access the text. First, there is a complete list of titles, including cross-references. Second, an Author Index lists titles by author; again cross-references are included. Finally, the alphabetical Character Index lists the more than 29,000 characters described, using last names if those appear in the original works, or using first names or descriptions. This huge volume is the first comprehensive encyclopedia of the fantasy field, offering an exciting new analysis of this highly diverse and hugely popular sphere of literature.With over 4,000 entries and over 1 million words, it covers every aspect of fantasy - in literature, films, television, opera, art and comics. Provides encyclopedic coverage of folktales and fairy tales from around the globe. Covers not only the history of the fairy tale, but also topics of contemporary importance such as the fairy tale in manga, television, pop music, and music videos. Brings together the study of geography, culture, history, and anthropology. The Oxford Companion to Children's Literature provides an indispensable and fascinating reference guide to the world of children's literature. Its 3,500 entries cover every genre from fairy tales to chapbooks; school stories to science fiction; comics to children's hymns. The Encyclopedia offers comprehensive coverage of children's literature, from medieval chapbooks of moral instruction for children to J. K. Rowling's immensely popular Harry Potter books. Unlike other references, the Encyclopedia not only documents but also interprets every work, major and minor, that has played a role in the history of children's literature in the world. General essays illuminate prominent trends, themes, genres, and the traditions of children's literature in many countries. Reading the Art in Caldecott Award Books is a practical and easy-to-use reference handbook explaining what makes the art in Caldecott Medal and Honor books distinguished. It is a useful manual for librarians, teachers, and others who want to better understand picture book illustration. This book includes many useful components: short entries about fifty-six books, information on styles and media, artistic analysis of the illustrations, and artist biographies. This book, used as a handbook in conjunction with Caldecott Award books, provides readers with ready-to-use information they can share with children and others, while helping to build confidence in one's ability to talk about art in all picture books. Each volume in this series provides illustrated biographical profiles of approximately 75 children's authors and artists. Entries typically cover: personal life, career, writings, works in progress, adaptations, additional sources. 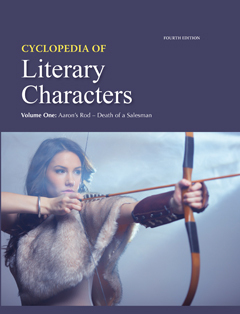 A cumulative author index is included in each odd-numbered volume. 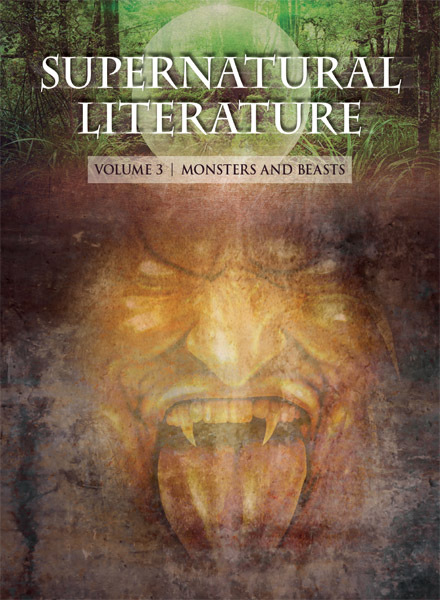 This work provides thorough coverage of the literature of the supernatural across the canon, covering such works as Shakespeare’s Hamlet, Mary Shelley’s Frankenstein, C.S. Lewis's Chronicles of Narnia, and J. K. Rowling’s Harry Potter and the Sorcerer’s Stone. "Talking-animal tales have conveyed anticruelty messages since the 18th-century beginnings of children's literature. Beginning with the ideas of literary theorist Mikhail Mikhailovich Bakhtin, this book examines ways in which animal characters gain an aura of authority through using language and then participate in reversals of power"-- Provided by publisher. A treasure trove of information for a student, librarian, new parent, or anyone wondering about the post-Harry Potter book biz, Wild Things! draws on the combined knowledge and research of three respected and popular librarian-bloggers. Told in affectionate and lively prose, with numerous never-before-collected anecdotes, this book chronicles some of the feuds and fights, errors and secret messages found in children's books and brings contemporary illumination to the warm-and-fuzzy bunny world we think we know. Secret lives, scandalous turns, and some very funny surprises -- these essays by leading kids' lit bloggers take us behind the scenes of many much-loved children's books. Full-text articles are available and can be searched by year through the EBSCOhost database. Includes reviews of the best children's books published, articles about children's books, explorations of children's books from every perspective and news of the children's book world. Full-text articles are available, with a 12 month delay, and can be searched by year through the EBSCOhost database.Critical evaluation, analysis or commentary for librarians, teachers, students, writers and interested parents on social issues reflected in books, interviews with authors and illustrators and accounts of classroom practice and experience. The Association for Library Service to Children (ALSC) is the world's largest organization dedicated to the support and enhancement of library service to children. Provides lesson plans and free materials to encourage and support reading and language arts instruction. The Young Adult Library Services Association (YALSA) is a national association of librarians, library workers and advocates whose mission is to expand and strengthen library services for teens, aged 12-18. The Book Awards and Book/Media Lists links provide extensive information on resources for teens. The Library maintains a collection of instructor reserve materials. These consist of textbooks, videos, and supplemental course materials that instructors have put in the Library for student use. To find what materials are available for Child Development, search Course Reserves in the Online Catalog. It is best to search by "Course Number" (ex. ENGL 235) in that an instructor other than yours may have placed an item on reserve. Materials can be requested at the Periodicals counter and generally must be used in the Library on a two-hour loan period. Photocopy machines are available for 10¢ a copy.